Weddings can be costly, and it is easy to go over budget when making all the essential purchases… the dress, the flowers, the venue, the catering, the list can go on. Understandably, it can be tempting to buy everything you need for your wedding. However, some things are better to rent. How many of each item do I need? Will I be able to sell the item or do I have to keep it after? Can the item be used for a gift at a later date? Now that you have asked yourself these questions, and have a little more clarity, we’ve put together a list of items that make more financial sense to rent than to buy. Event Decorations. 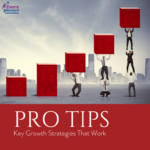 In theory, buying your own decor, to try and sell after might seem like it will save money, but don’t forget to factor in the extra labor it will cost you, including the time. “There are so many steps that go into using these items for an event—purchasing, shipping, unwrapping and taking the tags off, cleaning all the items, transporting them to the venue safely, dealing with them during the wedding, and then going in late at night after the celebration to collect them all,” says David Beahm of David Beahm Design in New York City. Table linens. Not all linens are expensive to buy, HOWEVER, they are a pain to clean, fold, press, and store. 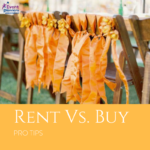 Renting linens is the smartest way to go because they come pressed and ready to use.” And after the wedding, they go right back to the vendor, with no cleanup or storage required. Tuxedos. Most men only own one or two tuxedos and wear them less than one time a year (almost never). 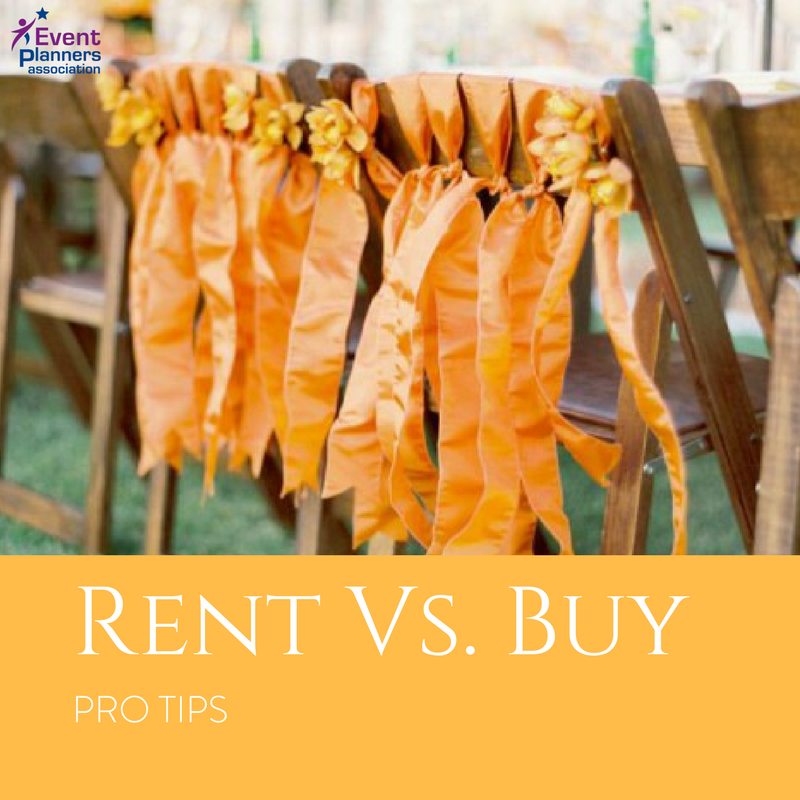 It is better to rent this item rather than to add another to your collection that won’t be able to be worn in another event, assuming you are part of the wedding party. Most newlyweds want everyone in the same matching tuxedos. Jewelry and accessories. Don’t you want to own the necklace you wore on your wedding day? Buy something you can afford, and treasure it forever. Custom wedding signage. While you can rent signs for your ceremony, reception, creating something custom gives you something you can hang on your walls forever.